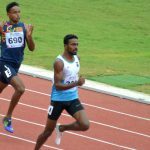 Bhubanseswar, July 6: India’s Arokia Raj came up with the fastest time (46.61 seconds) in round one of the glamourous men’s 400m on the opening morning of competition in the 22nd Asian Athletics Championships at the Kalinga Stadium here on Wednesday. Here’s an account of the proceedings. Thailand’s Suttisak Singkon came up with solid efforts in long jump (7.79m) and shot put (14.09m) to grab the lead after the first three events. He was second behind Japanese Kazuya Kawaski in 100m dash, unable to breach the 11-second mark, but came into his own in the two field events on the opening morning. Silver medallist the last time in Wuhan, China’s Guo Qi, who has a season’s best of 7517 points under his belt, did not find his rhythm and is lying fifth among seven starters. India’s Arokia Rajiv held off a challenge from Sri Lankan Ajith Premakumara in the second heat to emerge the fast qualifier with a time of 46.41 seconds. Oman’s Mubarak Ahmed was a comfortable winner of the fourth heat in 46.51 seconds while Sri Lanka’s Dilip Ruwan, who beat home favourite Muhammaed Anas in the opening heat, was third fastest with 46.58. The third Indian in the fray Amoj Jacob was the best in the slowest of the four heats, winning in 47.09. Saudi Arabia’s Ismaeel Mohammed, who was drawn in the same heat as Mubarak Ahmed, clocked the fourth fastest time in the heats (46.60). India’s Ajay Kumar Saroj got the crowd on its feet with a stirring run over the final 450m that saw him win the second heat in 3:51.37 from Iran’s Moslam Niadoost (Iran) and Adnan Taes (Iraq); Saudi Arabia’s Mohammed Othman, who was challenging the Indian on the final bend, lost steam in the final 50m and finished fourth. Earlier, Qatar’s Jamal Hairane won the first heat quite comfortably while Indian SIddhantha Adhikari came up with a good finishing burst to move into second place. The gangling Zhang Guowei (China), world championship silver medallist, sent out a strong signal to his competitors when qualifying for the final by clearing at 2.10m. Takahari Hiromi (Japan), Bai Long (China), Syrian Majed El Dein Ghazal and Korean Woo Sang-Hyeok as well Indians B Chethan and Ajay Kumar were among the 14 who cleared this height and ensured a place in the final. Bangladesh’s Mahfuzur Rahman and Kuwait’s Abdal Rahman Alyouga were the ones who went out of the qualification, unable to clear 2.04m and 2.00m respectively. India’s Chitra PU bravely hung in as part of a tight bunch of six runners and found her way through to lead briefly on the home stretch of the second heats – giving the goodly crowd at the Kalinga Stadium reason to cheer. However, Japan’s Ayako Jinnouchi surged forward to break the beam while North Korea’s Hyo Sim’s desperate lunge at the finish earned her the third place. In a faster heat earlier, China’s Geng Min ran along the shoulders of front-running Japanese Nozomi Tanaka for a long while and after Jordan’s Tamara Amer shifted gears to take the bell, Gen Min responded with a kick over the last 250m that saw her home comfortably ahead of the others. India’s Monika Choudhary, lying sixth for much of the race, despite some jostling moved up to fourth place with a hardy effort over the last 150m. 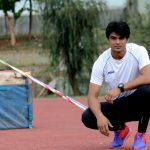 Paris: A confident Neeraj Chopra will be in action at the IAAF Diamond League, to be held at the Charlety Stadium in Paris, where he will go up against three of the world’s finest javelin throwers, on Saturday. German Olympic champion Thomas Rohler, Johannes Vetter and Czech thrower Jakub Vadlejch, last year’s Diamond Trophy winner, will be part of the list that includes Chopra, who ranks 14 in the world. Following a three-medal show at the Asian Grand Prix in Jixiang in May, Chopra claimed Gold at the Federation Cup Athletics meet in Patiala with a meet record throw of 85.63 meters. “I’m really looking forward to making my Diamond League debut and giving my best. This competition has been a target ever since the World Championships in Bydgoszcz and I’ve been working really hard in Patiala in the run up to this,” said Chopra. The youngster believes this run of competitions will serve him well ahead of the IAAF World Championships, to be held in London in August. “The Diamond League is a competition where I stand to gain a lot of exposure and the experience will be of huge importance as I work my way towards the World Championships. I am really eager to be in the same fray as some of the finest in the sport,” he added. Bhubaneswar :: India has entered a strong 95-member squad, including 47 women, in the 22nd Asian Athletics Championship to be held at the refurbished Kalinga Stadium here from July 5 to 9. The Athletics Federation of India (AFI) believes that the performance of the home side will enhance the profile of track and field sport in the country. 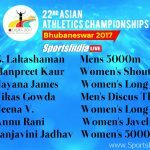 AFI announced that the entry of seven athletes would be subject to their passing fitness trials here in Bhubaneswar ahead of AAC2017. Two women athletes, hurdler and long jumper Nayana James and triple jumper Joyline Murali Lobo as well as discus thrower Vikas Gowda, long jumper Siddharth Mohan Naik and triple jumper Karthik U would undergo trials on June 30 while high hurdler Siddhanth Thingalaya would face a trial on July 2. 4x400m relay: Muhammed Anas, Amoj Jaco, Arokia Rajiv, Sachi Roby, Mohan Kumar and Kunju Muhammed. 400m hurdles :Anu R, Jauna Murmu and Arpitha M.
Triple jump :Sheena NV and Joyline Murali Lobo*. Javelin throw :Annu Rani, Poonam Rani Singh and Suman Devi. Heptathlon :Swapna Barman, Purnima Hembram and Liksy Joseph. 4x400m relay :Nirmala, Poovamma, Jisna Mathew, Vijayakumari GK, Sarita Ben Gayakwad and Debashree Mazumdar. Dharambir Singh has been found guilty of using banned substance just ahead of Rio Olympics 2016 start. As per sources he has to travel to Rio on Tuesday but he missed the flight. 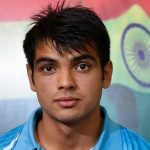 He is third Indian athlete to test positive of banned substance after Narsingh Yadav and Inderjeet Singh. Later Narsingh yadav found not guilty and NADA allowed him to travel to Rio.